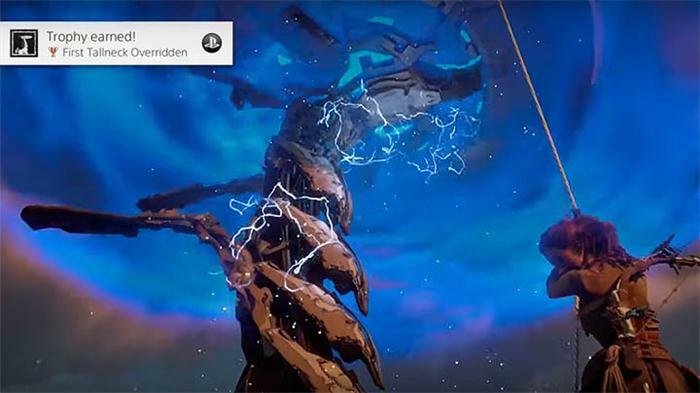 This guide will show you the location of each of the Tallneck's in Horizon Zero Dawn, helping you reveal further sections of the map and remove that rather annoying fog that prevents you from seeing further. 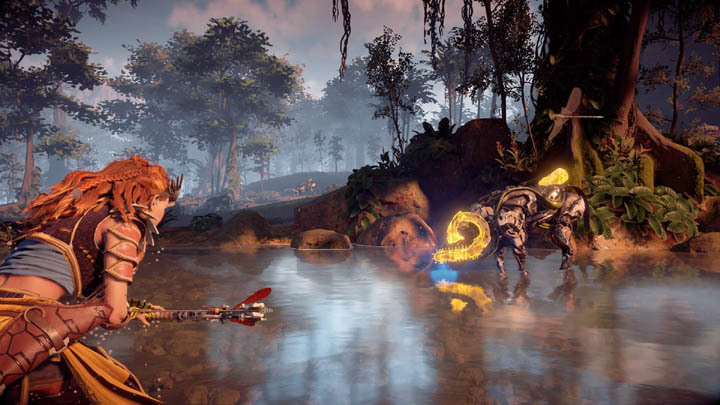 Like other open world games such as Far Cry and Assassin's Creed, Horizon Zero Dawn contains the concept of "Towers" which players can capture to reveal portions of the map. In Horizon Zero Dawn, Tallneck's are massive dinosaurs with long necks, which players can attempt to climb and ultimately capture. Given the settings for HZD, climbing to a higher vantage point such as the top of a larger robotic dinosaur makes complete sense to gain a better view of the surrounding area. These huge robots look much like the prehistoric diplodocus but with larger flat heads that resemble something from Star Trek. Weird! They are slow moving, making it easier (but not simple) to jump on their back and start the ascend. If you've played Far Cry 4 then you'll remember the radio towers, and the challenge of climbing each of them to disrupt the signal and reveal larger portions of the map. 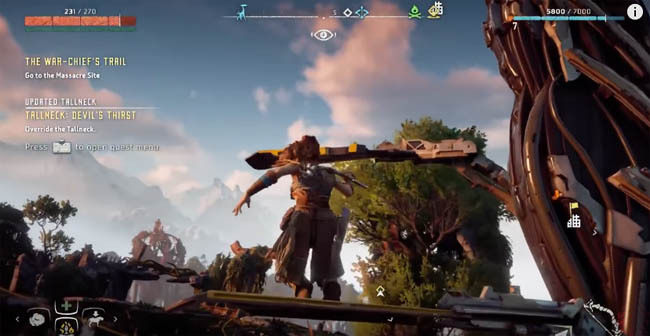 In HZD, players must also "climb" Tallneck's to reach the highest point of their body (the head), and then "override" the creature to complete the task. Climbing higher and higher constitutes a simple platformer puzzle, with each of the dinosaurs neck parts becoming a new platform to leap from ledge to ledge. Simply jump, pull yourself up and repeat the process, working your way up the neck. 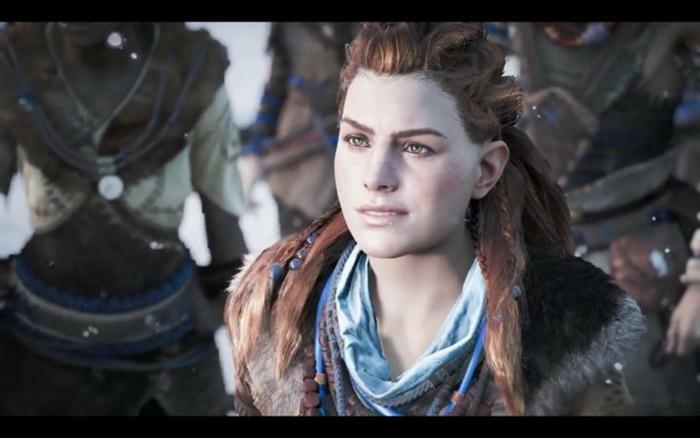 Be careful though, along the way Aloy can fall to certain death or become attacked by nearby enemies, particularly at ground level when approaching the Tallneck. It's a good idea to take your accustomed stealth skills that you will no doubt have used in other areas of the game and put them to good use for the Tallneck climb. Remaining undetected will avoid conflict and potential death as you attempt the climb. Use cliff edges or vantage points to your advantage and jump onto the creature's back. All of the Tallneck locations are shown on the maps below, making it easier to plan your journey and open up the entire map. Right at the start of the game, your first Tallneck is going to be in Devil's Thirst. The second Tallneck is in the center of the world map as you make your way from East to West in the story. It is a desert landscape and climbing this Tallneck will open up the central area of the world map. Your third Tallneck is right on the border of the south western side of the world map. The western side of the map is concealed behind the Rustwash Tallneck. Climb this Tallneck to uncover more of the desert area in the vicinity. Last but not least, the final Tallneck is in the northern half of the map which by now is the only region not previously uncovered. Use the wooden buildings to get an elevated position and jump onto the Tallnecks back as usual. Overriding this final Tallneck will grant you the "All Tallnecks Overridden" trophy!